Register Now for STARS Winter/Spring Classes! Soo Theatre Arts Resource Studios (STARS) is now accepting registrations for the upcoming Winter/Spring Term. The upcoming 18-week session that begins in January includes 53 class offerings in dance, music, musical theatre, yoga, tai chi, and floor tumbling. Specialty classes, such as photography, watercolor and more are offered for shorter durations throughout the term. Multiple faculty members offer private lessons in voice and a wide range of musical instruments. The classes and private lessons offer something for everyone of all ages. Stop by 534 Ashmun Street or call (906) 632-1930 for more information or visit www.sootheatre.org for a class schedule (available here). The weekly schedule for the STARS 2011 Winter-Spring term is now available online. Our December 2010 Newsletter is now available online in PDF format (1.8MB, updated color version). Soo Theatre Arts Resource Studios is bursting with holiday spirit and will be presenting two programs in December for audiences of all ages to enjoy. The annual Candlelight Christmas concert (see poster) featuring STARS music students and performing groups along with the LSSU Choir will be held on December 11th at 2:00pm. This delightful concert will be held in St. Mary’s Pro-Cathedral located at 320 E. Portage Avenue with admission by donation. Be sure to bring your MESSIAH score to join this talented group while singing the HALLELUJAH CHORUS with the orchestra. The Second Annual STARS Nutcracker Tea (see poster) will be held on December 18th for children ages 4-10. You will have two chances to be charmed by the talented dance students of STARS with tea parties being held at 1:00pm and 3:00pm. The performances will take place in the Studio E annex located at 539 Ashmun Street, across the street from the STARS office. Tea and cookies will be served and each child under 10 will receive a small gift. Admission for the tea is only $5 and tickets can be purchased in advance at the STARS office. Seating is limited so hurry in to secure your spot! STARS is pleased to announce that they will be offering additional 5-week Watercolor Painting classes beginning the week of November 15th. After a very successful first class, they have expanded their offerings to now include a Watercolor for Kids along with the Watercolor Techniques class, taught by local artist Randy Krause. Watercolor for Kids for $60 will be offered on Saturdays at 12:30pm. Watercolor Techniques for $100 will be offered twice, on Saturdays at 2pm or Tuesdays at 6:30pm. For more information or to sign up please call 632-1930 or stop in at 534 Ashmun St. Sault Ste. Marie, MI. The Soo Theatre Project regretfully announces the cancellation of the Rocky Horror Picture Show which was scheduled for October 8th and 9th. We apologize for any inconvenience and disappointment caused by the cancellation and look forward to offering this show again next year. The Soo Theatre Project wraps up its 2010 show season with the third annual benefit variety show presented by the Sault Ste. Marie Rotary Club and the Chippewa Sunrise Rotary Club to be held on Sunday, October 3rd at 2:00 p.m. The Rotary Show of Shows is comprised of highlights from all the productions presented during the Soo Theatre’s recently concluded summer season. The 2010 Rotary Show of Shows will feature Susan Askwith, Hollyann Beck, Karen Hughes-Beacom, Dennis Brooks, Maureen Delaney-Lehman, Dianna George, Matt Gilbertson, Benjamin Gulder, Mya Hazley, Lola Kennedy, Whittney Laderoute, Wade Leppien, Becky McCauley, Karly McKee, Alyssa Morley, Meaghan Parker, Kellan Perron, Sara Pierce Meijerink, Kelsey Rambo, Mark San Angelo, Sharon San Angelo, Jim Schmidt, George Snyder, Dave Stanaway, Ginger Stratton, Casey Strieter, Melina Talentino, Mary Witucki, and Seth Witucki. Also performing will be the Footlight Dancers and Friends, directed by STARS Dance Director Dianna George. Master of Ceremonies will be Tom Ewing, joined by special guests of the Sault Rotary Club, all of whom are very entertaining and will add a great deal of fun to the show. Additionally, there will be a special salute to the National Guard’s 1437th Engineering Company who recently returned from Iraq. 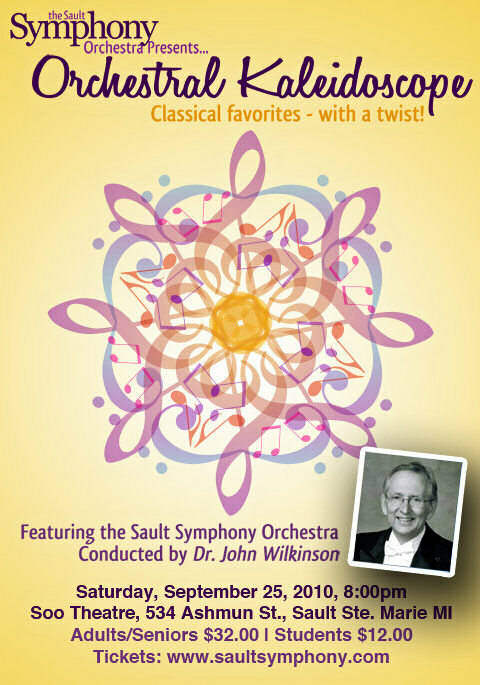 The Sault Symphony Orchestra is excited to present an Orchestral Kaleidoscope to kick off their 38th Season. On September 25, the Soo Theatre in Sault Ste. Marie, Michigan will be filled with the sights and sounds of this rich and diverse concert event. Orchestral Kaleidoscope offers a prismatic approach to both the repertoire and the physical movements of the orchestra. Conductor Dr. John Wilkinson leads the orchestra through a variety of classical and pops favorites, while the musicians themselves create a physical movement of sound as they journey through the theatre and the audience. The diverse program includes such favorite classics as Antonio Vivaldi's “Concerto Grosso in B minor, Opus 3 No. 10” from L'Estro Armonico, Igor Stravinsky's Firebird Suite, W. A. Mozart's “Adagio” from Violin Concerto No. 3 in G major, and Pyotr Illyich Tchaikovsky's “Finale” from Symphony No. 2 in C minor, Op. 17 among many others. This evening of music and movement also features a special performance of Firewagon Hockey, an original Canadian composition by Sault Ste. Marie, Ontario's own Stephen Mallinger. Audiences will also receive a special solo violin performance by this year's Kiwanis Shield Award winner, Victoria Jones, and they will delight in a variety of pops arrangements including a Star Wars medley and selections from Fiddler on the Roof. Also part of the 38th season, the Sault Symphony will present a screening of the Disney film Fantasia 2000, with a live orchestral soundtrack performance on November 13, as well as the full-stage production of Irving Berlin's White Christmas starting on December 8. Tickets to Orchestral Kaleidoscope as well as all concerts for the 38th Season are on sale now online at www.saultsymphony.com, www.kctc.ca, or in person at the Community Theatre Centre Box Office in the Station Mall. The Soo Theatre Project, in conjunction with the Satisfied Frog Pub, are pleased to present the Kid and Nic Show of Orange County, Calfornia. This 1½ hour benefit show features Kirk (Kid) Tracy on tenor sax, harmonica and vocals; Nicole (Nic) Tracy on vocals and congas; Anna Stadlman on guitar; Daren Burns on bass; and Doug Birmingham on drums. Their performance is a mix of jazz, blues, rock, and comedy. Audience participation and dancing will be encouraged! All proceeds benefit the Soo Theatre Project. Ticket prices are $10.00 for adults and $5.00 for students K-12. A maximum box office charge of $30 per family is available (restrictions apply). Please call (906) 632-1930 for more information or stop by 534 Ashmun Street, Sault Ste. Marie, Michigan to purchase tickets for the show. Website: www.sootheatre.org. 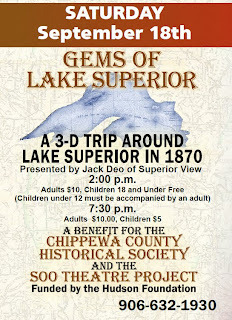 Historic Lake Superior Scenes in 3-D at Soo Theatre Sep 18! A time machine to visit the shores of Lake Superior in the 1870s? 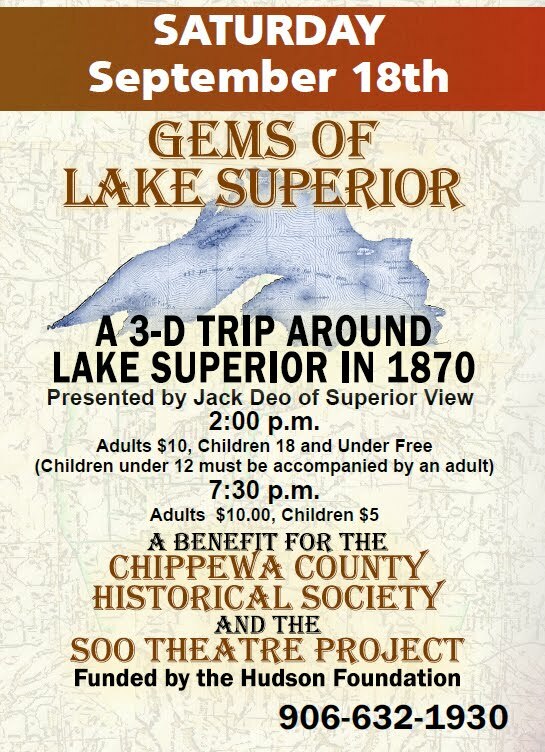 Well, maybe not, but Jack Deo’s 3-D show “Gems of Lake Superior” is the next best thing, and it will be presented at the Soo Theatre in Sault, Michigan, Saturday, September 18, at 2 p.m. and 7:30 p.m.
Mr. Deo, owner of Superior Views in Marquette, Michigan, has assembled a collection of stereoscopic images taken by the photographer B. F. Childs in 1872. 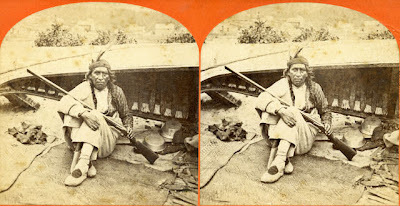 Mr. Childs hired a Chippewa guide, and toured the big lake in a Mackinac boat, capturing scenic views along the way with his large and complex camera. 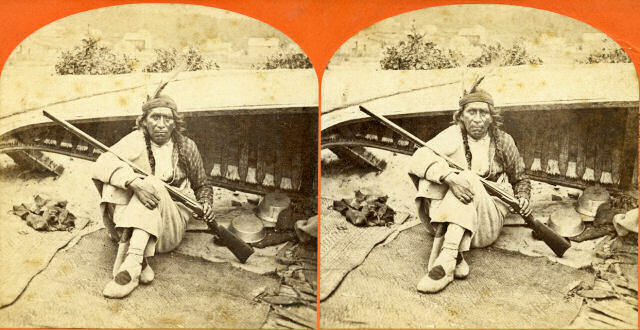 These images were sold to the public and were intended for use in a stereo-opticon viewer popular in the late 1800s and early 1900s. Thanks to a digitizing process now available, Deo can project them on a large screen so that spectators wearing 3-D glasses can enjoy them. In fact they may feel that they went along on that trip that took place almost one hundred forty years ago! The show has been presented this summer to enthusiastic audiences in Marquette, Calumet, Duluth, Ashland, Wisconsin, and Thunder Bay, Ontario. Deo presents about 200 views, along with brief commentary. Scenes likely to be of special interest to Sault residents on both sides of the river include Native American camps at the rapids and Batchewana, the shipping canal (when there was only one lock), Montreal River, Gros Cap, and early Sault street scenes. Although not on Lake Superior, a few views of Mackinac Island will also be given in the Sault show, since the island is part of the neighborhood. The matinee performance is at 2 p.m., and admission to that show will be free for students 18 years old and younger. (Children twelve and under must be accompanied by an adult.) This special admission is possible thanks to a grant from the Hudson Foundation of Sault, Michigan. The matinee show will include a few views aimed at a younger audience, but otherwise will be much the same as the 7:30 evening performance and thus adults may choose the time that fits their schedules best. Both shows will last about one hour. Proceeds from the shows will benefit the two sponsoring organizations — the Chippewa County Historical Society, and the Soo Theatre Project. Adult admission is $10.00 for either show. Students 18 and under can get a free ticket for the matinee, or pay $5.00 for the evening show. All tickets will be available at the door. Advance tickets are available at the Soo Theatre Office and the Gift Shop at the Chippewa County Historical Society. Call 906-632-1930 for more information. Don't miss The Kid and Nic Show Sept. 19! Sunday, September 19th at 7:00 pm. This Soo Theatre benefit show features Kirk (Kid) Tracy on tenor sax, harmonica and vocals; Nicole (Nic) Tracy on vocals and congas; Kevin Slagg on guitar; Daren Burns on bass; and Doug Birmingham on drums. 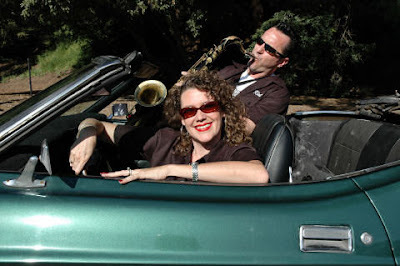 Kid and Nic, from Orange County, California, met in the 90s; Kid was a working saxophonist who played live with The Shirelles, The Ink Spots, Dave Wakeling (The English Beat and General Public) and recorded the Epic Records debut release of the swing/ska group Save Ferris. Nicole was acting in Shakespearean plays, Neil Simon, various musicals, and she played a character on the television series Beverly Hills 90210. This duo have been together ever since and haven’t looked back! Their interactive performances are high-energy with a blend of swingin' blues and rock and roll. They have been featured on The Discovery Channel and The Food Network's Bobby Flay's Food Nation. Their tours have taken them to as many as fifteen states from the House of Blues stage in Hollywood and Anaheim to clubs, casinos, theaters, festivals and special events across the country. This family-friendly benefit show is sponsored in part by the Satisfied Frog Pub, with all proceeds to benefit the Soo Theatre Project, Inc. Tickets for the show are $10.00 for adults and kids 12 and under are $5.00. A maximum box office charge of $30 per family is available (restrictions apply). Please call (906) 632-1930 for more information or stop by 534 Ashmun Street, Sault Ste. Marie, Michigan to purchase tickets for the show. www.sootheatre.org. Mike Dempsey and Friends will be having a Benefit performance for the Soo Theatre Project this Thursday, September 2, 2010. Joining Mr. Dempsey will be vocalists Eric Shaw from Sault Ste. Marie, Ontario; John Young of Farmington Hills, Michigan; Karen Hughes of Pickford, Michigan; and from Sault Ste. Marie, Michigan Maureen Delaney-Lehman, and Lola Kennedy. Radio personality Tom Ewing will be narrating, Eric Gadzinski will be playing percussion, and Gig Stewart will be playing the double bass. 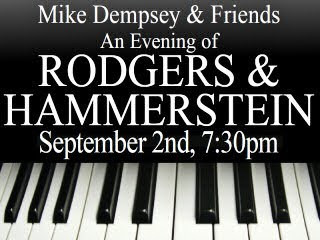 An Evening with Rodgers and Hammerstein is arranged by Mike Dempsey and directed by Stu Packard. This one-night-only evening performance will include songs from South Pacific, The Sound of Music, Carousel, Oklahoma, and many more. Don’t miss An Evening of Rodgers and Hammerstein, a Benefit performance for the Soo Theatre Project. Tickets are $15 for adults, $12 for seniors and students, and $5 for children 12 and under. Please call (906) 632-1930 for more information or stop by 534 Ashmun Street, Sault Ste. Marie, Michigan to purchase tickets for the show. www.sootheatre.org. The Soo Theatre is proud to announce the return of Mike Dempsey, a highly acclaimed pianist, vocalist and published composer from Southeastern Michigan. 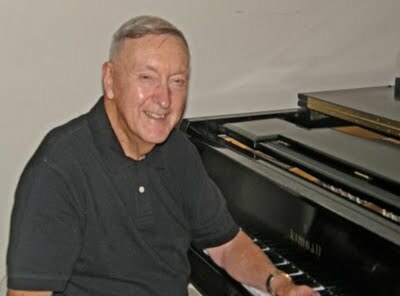 Mr. Dempsey thrilled audience members last year with his compilation of “Gershwin”. This year’s production of “Rodgers and Hammerstein” is an evening of music composed by the well-known American songwriting duo of Richard Rodgers and Oscar Hammerstein II. Mike was born and raised in Sault Ste. Marie, attending St. Mary’s and Sault High School. He received both bachelor’s and master’s degrees from Michigan State University, and then served in the U.S. Army. He has been choral director at Pontiac Central and Pontiac Northern High Schools, and also served as choir director at several Oakland County area churches. Additionally, he has been music director for such large-scale musicals as South Pacific, Oklahoma, Carousel, The King and I, Music Man, Kiss Me Kate, Superman, You’re A Good Man Charlie Brown, Mame, My Fair Lady, Gypsy, Sweet Charity, Li’l Abner, and Sound of Music. In 1995 he founded a singing group “Mike Dempsey & Friends”. In addition to writing the script and arranging the music, Mike serves as pianist. 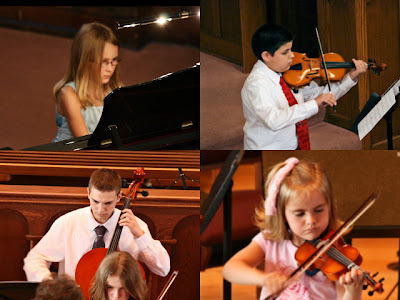 This small group has performed composer theme musicals throughout Southeastern Michigan. Mike's “friends” for the Soo Theatre performance will feature Karen Hughes, resident opera singer, voice teacher and music director at Soo Theatre Project and STARS; Tenor Eric Shaw, who is originally from Sault, Ontario and now sings all over the world and teaches in Toronto; Baritone John Young, who often sings in Mike Dempsey's productions; and singers Maureen Delaney-Lehman and Lola Kennedy, both of whom live in Sault Ste. Marie, MI. All of these performers, except John Young, have been in previous Soo Theatre Broadway and opera productions. Local radio personality Tom Ewing will be the evening’s narrator. Admission for this lovely evening of quality entertainment is only $15 for adults, $12 for seniors and students, and $5 for children 12 and under. Proceeds will benefit the Soo Theatre. Group discounts are available. Please call (906) 632-1930 for more information or stop by 534 Ashmun Street, Sault Ste. Marie, Michigan to purchase tickets for the show, which will be on Thursday, September 2nd at 7:30pm. Our website is at www.sootheatre.org. 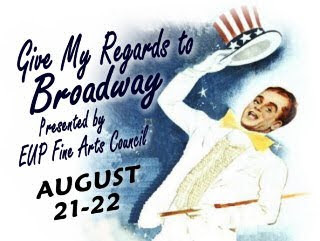 The Eastern Upper Peninsula Fine Arts Council of DeTour Village, Michigan is bringing their performance of Give My Regards to Broadway to the Soo Theatre stage August 21st at 7:30 pm and August 22nd at 2:00pm. The production is directed by Dave Rhinard and the music is directed by Lyle Juracek. Juracek, from the University of Iowa, was last summer's pianist for Chicago and will also be playing piano for this show. A dynamic entertainer, playwright, producer, director, George M. Cohan practically invented American musical comedy. The Cohan hits--"Give My Regards to Broadway," "Mary," and "Grand Old Flag"--are timeless bits of Americana. This performance features all of these songs and more, all interwoven into a clever story by Shubert Fendrich about an struggling off-off Broadway theater company's attempts to raise money to put on a Cohan revival. An anonymous "Angel" puts up the money, but it gets complicated when a couple of comic mobsters show up with their hands out. Believe it or not, the show goes on, as evidenced by the final patriotic number of this show within a show. The EUP Fine Arts Council’s show of this American classic includes James Bailey, Sherry Bailey, Emily Bosley, Paula Bosley, Janelle Dudeck, Kegan Fountain, Lyle Juracek, Lisa MacDonald, Allyson Mrozek, Dave Rhinard, Susie Rhinard, Jody Skinner, Heather Van Daele, and Bob Zahara. EUPFAC’s Give My Regards to Broadway performance of this timeless show is great fun for the whole family and will be performed Saturday, August 21st at 7:30 pm and Sunday, August 22nd at 2:00 pm at the Soo Theatre. Tickets are $16.00 for adults, $14.00 for seniors, and $5 for students K-12, with proceeds benefiting both EUPFAC and the Soo Theatre Project. Please call (906) 632-1930 for more information or stop by 534 Ashmun Street, Sault Ste. Marie, Michigan to purchase tickets for the show. www.sootheatre.org. 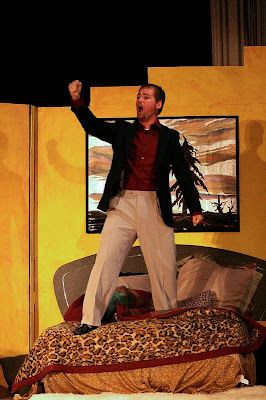 Final Performance of Gianni Schicchi Sunday Aug 15: Don't Miss It! Thursday’s opening performance of Gianni Schicchi, presented by Soo Theatre’s Opera Company, left audience members amazed. Director Tim Murphy of Sault, Ontario brought his usual finesse and unique interpretation to this outstanding production. The cast members, mostly comprised of local talent and joined by three professionals, were accompanied by a live orchestra. The Donati family (Tom Peer, Lola Kennedy, Maureen Delaney-Lehman, Robert Cooper, Seth Witucki, Matthew Gilbertson, Elizabeth Kinghorn, and Michael Irvine) patiently waiting to find out what they are getting in Buoso Donati’s will. The two love birds Lauretta (Karen Hughes) and Rinuccio (Scott Wichael, Guest Performer) are singing of their love for one another. 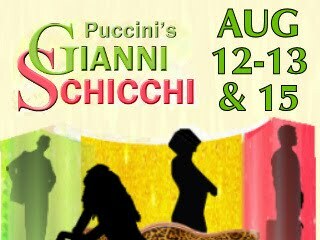 A comedic opera, Gianni Schicchi by Giacomo Puccini, opens Thursday, August 12th at 7:30 p.m. at the Soo Theatre Project. This year the Soo Opera Theatre welcomes guest artists Thomas Gunther from Cincinnati, Ohio and Scott Wichael from Kansas City, Kansas. This is a one-act comedic production, performed in English, starring Thomas Gunther (in rehearsal photo at right) in the title role, Scott Wichael as Rinuccio, and Pickford resident Karen Hughes as Lauretta. Highlighting performers from the Eastern Upper Peninsula and Sault Ste. Marie, Ontario, Gianni Schicchi is directed by the talented Timothy Murphy, with Musical Director Karen Hughes, and a live orchestra conducted by Dr. John Wilkinson. Set in modern day Manhattan, the Donati family is mourning the loss of their dear Buoso Donati, all the while hoping he has willed them his money, real estate, and the finest horse in Jersey. The family becomes outraged when they find out they are not included in Donati’s will. At the same time, Rinuccio is asking to marry Gianni Schicchi’s daughter Lauretta, but no one in the family will allow this since Lauretta does not have a trust fund and Schicchi’s past is not to their standards. Enter Schicchi, whom Rinuccio called, to assess the situation and see if there is a loophole in Donati’s will. Schicchi suggests an outlandish idea of him posing as Donati, alive, and re-writing the will. Soo Opera Theatre’s Gianni Schicchi will have two evening performances on Thursday, August 12th and Friday, August 13th at 7:30 pm. A matinee performance will be on Sunday, August 15th at 2:00 pm. Ticket prices are $15.00 for general admission and $10.00 for students. Group rates are available by calling the theatre at (906) 632-1930. Opera returns to the Soo Theatre for its fifth season with another comedy in English. Professional singers take the stage this August to join the ranks of Soo Opera Theatre’s Artistic Director Karen Hughes and her local cast in this modern satire of a greedy Italian family. Gianni Schicchi is a one-act comedy by Giacomo Puccini. Director Timothy Murphy of Sault Ste. Marie, Ontario returns to the Soo Theatre for a second season, bringing his flair for comedic timing to the production. Baritone Thomas Gunther from Cincinnati, Ohio and tenor Scott Wichael from Kansas City, Missouri will both be making their Soo Theatre debut. Karen Hughes and Patty Gartshore of Sault Ste. Marie, Ontario have been preparing the singers and Dr. John Wilkinson is conducting the orchestra. Local singers (Sam Burdick, Bob Cooper, Maureen Delaney-Lehman, Matt Gilbertson, Michael Irvine, Lola Kennedy, Elizabeth Kinghorn, Meghan Lee, Mik Patton, Tom Peer, Jesse Strieter, Matt Zook) and orchestra members from the Eastern Upper Peninsula and Sault Ste. Marie, Ontario have been busy in rehearsal this month. Set in present day New York, Buoso Donati has quietly passed away in bed. His relatives are mourning quite dramatically over his death; that is, until they find out they aren’t in the will. All the while Rinuccio (Scott Wichael) is begging his family to let him marry Gianni Schicchi’s (Thomas Gunther) daughter, Lauretta (Karen Hughes). Rinuccio’s family will not allow him to marry Lauretta since she does not have a trust fund. 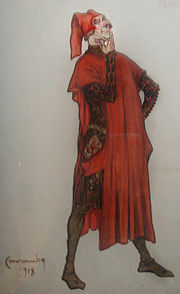 Rinuccio calls Schicchi without the family’s knowledge. Rinuccio explains to them that Schicchi will be able to help them find a way to get themselves included in the will. Zita (Maureen Delaney-Lehman) angrily explains the situation to Schicchi, who is just as angry at the negative reception he and his daughter have received. Lauretta sings “O Mio Babbino Caro,” begging her father to let her marry Rinuccio. Schicchi devises a plan to get the family into the will. 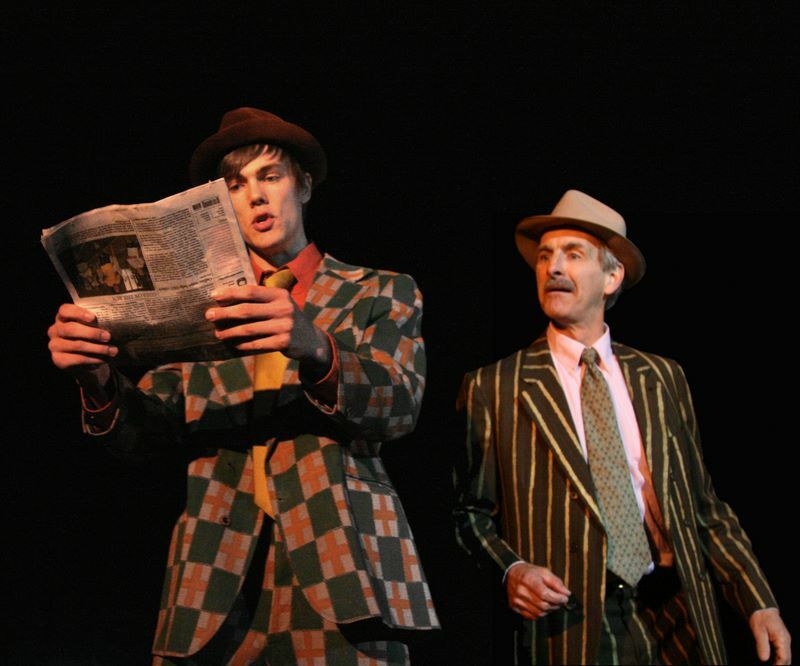 As Schicchi assumes the role of the deceased Buoso Donati, so ensues this hilarious one-act comedy. Mark your calendar for Soo Opera Theatre’s Gianni Schicchi August 12th and 13th at 7:30 pm and August 15th at 2:00 pm. Ticket prices are $15.00 for general admission and $10.00 for students. Group rates are available by calling the theatre at (906) 632-1930. Soo Theatre Project is located 534 Ashmun Street in downtown Sault Ste. Marie, Michigan. Don't Miss Guys and Dolls July 15-18 at the Soo Theatre! 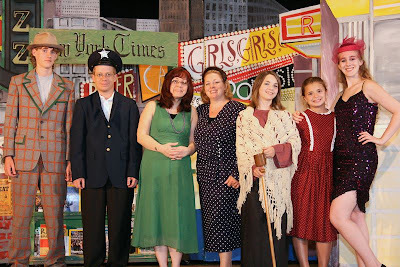 While rehearsing the opening scene of Guys and Dolls, cast members Jesse Strieter, Ben Dietrick, Sharon San Angelo, Ginger Stratton, Hollyann Beck, Melina Talentino, and Casey Strieter stopped for a photo. Sets for the Broadway musical were designed by director Bob Koger, with set painting by Randy Krause and Abby Jewel. 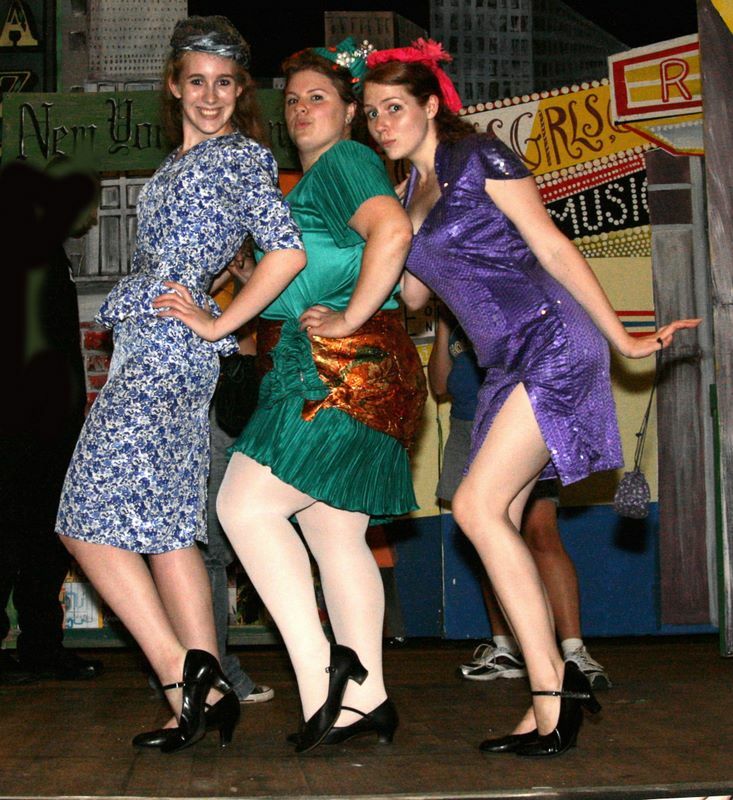 Local talent will be gracing the Soo Theatre stage in the Tony Award-winning musical Guys and Dolls July 15-18, 2010. This acclaimed musical is directed by Bob Koger, music directed by Karen Hughes, conducted by John Wilkinson, and choreographed by Dianna George. There are over forty cast members and stage running crew from the Eastern Upper Peninsula involved in this grand production. Other cast members of the Soo Theatre production are Hollyann Beck, Robin Bergsma, Sam Burdick, Ben Deatrick, Twyla Fredrickson, Matt Gilbertson, Wade Leppien, Andrew Lucas, Becky McCauley, Mark San Angelo, Sharon San Angelo, Jim Schmidt, Matt Schnurer, Sally Schremp, Ginger Stratton, Casey Strieter, Jesse Strieter, Melina Talentino, Jim Taylor, William VanVallis, Mary Witucki, Seth Witucki, and Matt Zook. 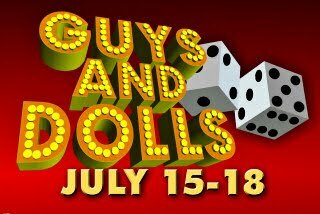 Guys and Dolls will be performed July 15th-17th at 7:30 pm and July 18th at 2:00 pm at the historic Soo Theatre Auditorium. Ticket prices are $18.00 for general admission, $14.00 for seniors, and $10 for students. For further information or group ticket rates, please contact the Soo Theatre main office at (906) 632-1930 or visiting our website at www.sootheatre.org. Soo Theatre is located at 534 Ashmun Street Sault Ste. Marie, MI. Please join us in supporting local talent within our community. Benny Southstreet (Matt Gilbertson) reads the Evening News during a scene from Soo Theatre’s Guys and Dolls as Nathan Detroit (Dr. Richard Morrison) pays close attention. Hot Box Dancers Dixie (Casey Strieter, left) and Lulu (Mary Witucki, right) cross Broadway Avenue with Miss Adelaide (Lola Kennedy, center) to get back to the Hot Box Nightclub. 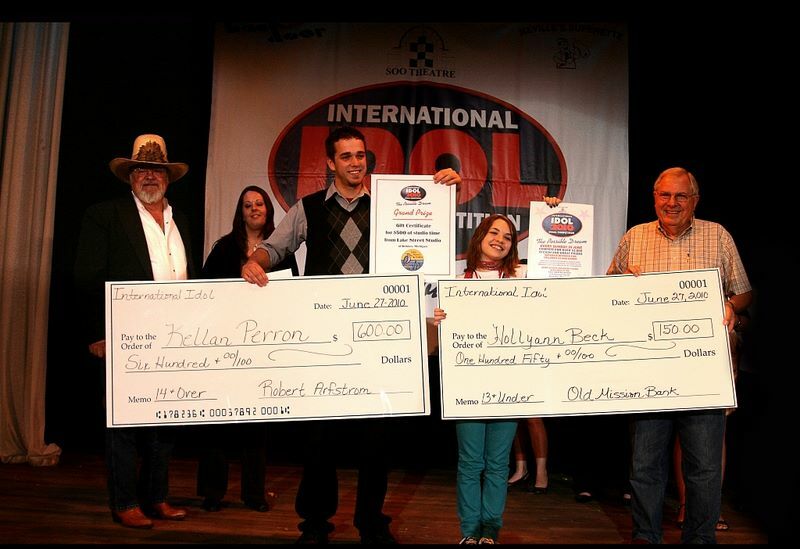 Kellan Perron (center left) and Hollyann Beck (center right), division winners of the Soo Theatre's 2010 International Idol Vocal Competition, display their prizes. They are flanked on the left by Judges George Snider and Allison Miller and on the right by Sponsor Bob Arfstrom. The contest was held for four Sundays in June, with the final competition taking place on June 27. The final competition of International Idol was held Sunday, June 27 at the Soo Theatre. The vocal competition started June 6 with 29 competitors in two age group divisions and ended with eight finalists. All of these talented performers are from the Eastern Upper Peninsula and Sault Ste. Marie, Ontario. The three finalists for the 13-and-younger division were Caitlin LeBlanc, Eva Perron, and Hollyann Beck. The finalists in the 14-and-older division were Morgan Steele, Kierstan Jacobson, and Kellan Perron. The competition was fierce, but Hollyann Beck and Kellan Perron emerged triumphant in their respective divisions. For more details and links to photos and videos, see the 2010 International Idol Winners Page. Thank you to our sponsors: Bob Arfstrom for providing the prize money in the 14-and-older division; Lake Street Studio for donating recording time for the winner of the 14-and-older division; Old Mission Bank for donating the savings bonds for the 13-and-younger division winners; and Jennifer Compo and All Good Soundz Entertainment for providing musical accompaniment for the contestants. Thanks also to our banner sponsors: The Back Door, Neville's Superette, Dondee Lanes, and Erickson Appliance and Furniture. Many thanks to Mark San Angelo, who did an excellent job as MC; the competition's judges George Snider, Allison Miller, and Amy Preville; stagehand Dan Harris; sound and lights tech Taylor Brugman; and contest coordinator Dennis Brooks. Thanks to all of the contestants for participating in this exciting competition and special congratulations to the winners! Further information can be obtained by calling the theatre at (906) 632-1930 or visiting our website at www.sootheatre.org. Soo Theatre is located at 534 Ashmun Street, Sault Ste. Marie, MI. Come, join, and support local talent within your community! The benefit performance at Soo Theatre will feature students of the Vocal and Opera Workshop, which took place this week. The workshop is being taught by guest instructor Dr. Christopher Hollingsworth and Soo Theatre instructor, Karen Hughes. The vocal program’s focus is to teach the students techniques for performance and preparation in opera and musical theatre. 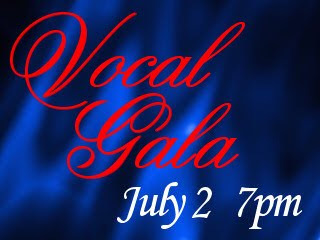 Performing in the Vocal Gala will be Abigail Albrecht, Sarah Bomber, Brandon Carr, Matt Gilbertson, Lola Kennedy, Becky McCauley, Gabbie Pepin, Sally Schremp, and Shirley Wilkinson. The students will be presenting solo and ensemble pieces from musical theatre and opera genres. The Soo Theatre Vocal Gala will be on Friday, July 2nd at 7:00 pm. Admission is $5.00 at the door. For further information please call the theatre at (906) 632-1930 or visit our website at www.sootheatre.org. Soo Theatre Project is located at 534 Ashmun Street, Sault Ste. Marie, MI. Come, join, and support these local, talented performers! June 27: International Idol Grand Finale! Who Will Win? The competition was close last Sunday, June 20 for the International Idol Vocal Competition held at the Soo Theatre in downtown Sault Ste. Marie. Three contestants in the 13-and-Under Division and five in the 14-and-Older Division qualified for the final round. All remaining contestants are from the Eastern Upper Peninsula and Sault Ste. Marie, Ontario. Week Three qualifiers in the 13-and-Under Division who will be competing in the finals are Hollyann Beck, Eva Perron, and Caitlin LeBlanc. The 14-and-Older Division final competitors are Morgan Steele, Kellen Perron, Brandon Carr, Kierstan Jacobson, and Caity Carter. Prizes will be awarded to the top three finishers in each division. The final round of International Idol will be held Sunday, June 27th at 6:00 p.m. This Sunday’s final round guest performer is internationally-known soprano Karen Hughes who will sing "The Impossible Dream" and will speak to the contestants about the many benefits of a music career. Opening the show will be a snippet from the Soo Theatre’s upcoming summer musical, Guys and Dolls. Join us in supporting the Idol contestants and the Soo Theatre Project by coming to see who will be named Soo Theatre’s 2010 International Idol. Admission is $5.00 at the door, with all proceeds benefiting the Soo Theatre Project, Inc.
Further information can be obtained by calling the theatre at (906) 632-1930 or visiting our website at www.sootheatre.org. The Soo Theatre Project is located at 534 Ashmun Street, Sault Ste. Marie, MI 49783. The show, whose characters are all students of the musical theatre camp, begins with Alice sitting with her sister in the park, when she sees a white rabbit hurry down his hole. She is curious about where the rabbit is going and she follows him into the dark tunnel. Alice, then, finds herself in Wonderland! There, she finds out what it is like to grow and shrink very quickly and along the way she encounters a caucus race, jabbering twins, a rude patch of flowers, a bubble-blowing caterpillar, the Cheshire Cat, the Mad Hatter’s tea party, an angry Queen of Hearts, and a trial in which Alice is afraid she might lose her head! 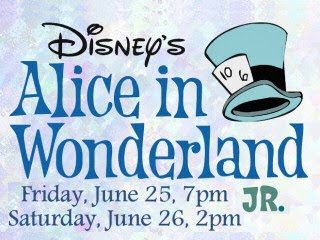 Performances will be held Friday, June 25th at 7:00 p.m. and Saturday, June 26th at 2:00 p.m. Admission is $5.00 at the door. Don’t miss the chance to watch some very talented musical students and support the efforts of Soo Theatre Project, Inc..
For further information please call (906) 632-1930 and/or visit our website at sootheatre.org. Soo Theatre Project is located at 534 Ashmun Street in Sault Ste. Marie, MI. Soo Theatre Arts Resource Studios (STARS) is a community arts center offering instruction in music, dance, theater, and yoga for students of all ages. STARS is a program of the Soo Theatre Project, partially housed in the historic Soo Theatre complex. 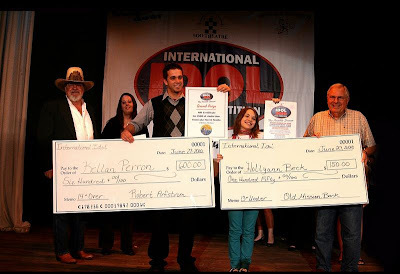 International Idol 2010 Continues June 20: Come See What Happens! Another spectacular week of competition in the Third Annual Soo Theatre International Idol Vocal Competition was held this past Sunday, June 13th (check out June 13 photos here). International Idol is a vocal competition allowing talented performers from the Eastern Upper Peninsula and Sault, Ontario to compete on the Soo Theatre stage. The Master of Ceremonies for International Idol is Rock 101 personality, Mark San Angelo. San Angelo was accompanied by judges “Gentleman” George Snider, radio personality Allison Miller, and local singer/actress Amy Preville. Guest artist for Week Two was last year’s International Idol winner, Danielle Petingalo, who spoke about how the dream is constantly on her mind when performing and moving ahead in her career. She is currently working on her first CD with Lake Street Studio. Week Two resulted in further cuts in the competition. The four contestants in the 13-and-under division moving on to Week Three are Hollyann Beck, Riley Gridzak, Caitlin LeBlanc, and Eva Perron. In the 14-and-older division, only eight contestants will be moving on. They are Brandon Carr, Caity Carter, Tawny Freel, Kierstan Jacobson, Kellan Perron, Larry Peterman, Morgan Steele, and Tiffany Williams. All contestants will be required to perform two songs for Week Three in order for the judges to decide who will participate in the final week of competition to be held June 27th. The third round of Soo Theatre’s International Idol begins at 6 p.m. this Sunday, June 20th. 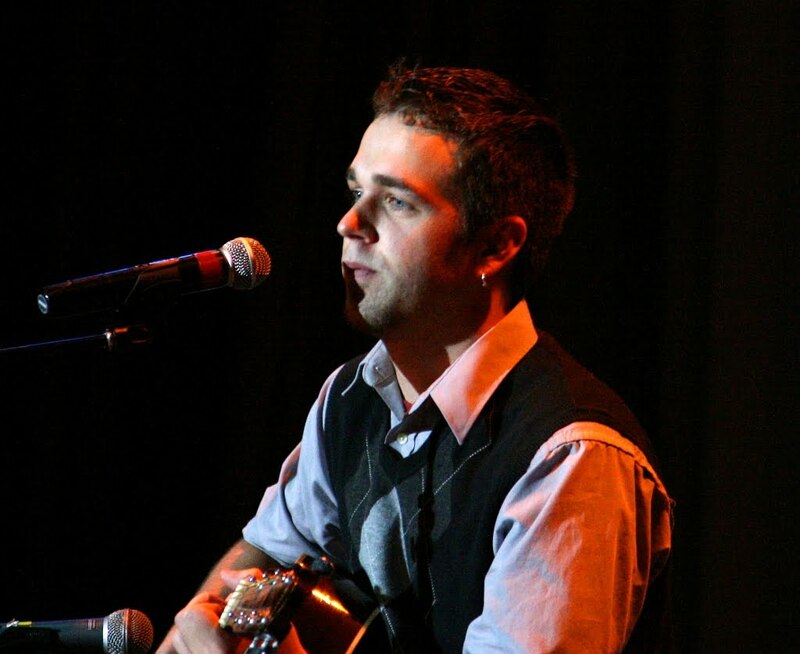 Special guest performer will be the 2008 Idol competition winner, KT Antler. Admission is $5.00 with all proceeds benefiting the Soo Theatre Project, Inc.
Join us in supporting the Idol contestants and the Soo Theatre Project! The Soo Theatre Project and STARS kick off the City of Sault Ste. Marie’s Music in the Park series on Wednesday, June 16, 2010 at 7:00 pm. This free event at Soo Locks Park includes performances by STARS students and faculty, as well as selections from the upcoming Soo Theatre summer season. The STARS Footlights Dance Theatre, directed by Dianna George, and the STARS Youth Orchestra, directed by Dottie Case, will be performing pieces from the recently concluded winter-spring semester. Members of the cast of Guys and Dolls, directed by Bob Koger, will present scenes from the upcoming Soo Theatre summer musical scheduled for July 15-18th. Vocal performances will feature Karen Hughes singing a piece from the upcoming Soo Opera Theatre’s comedic opera Gianni Schicchi (August 12, 13, and 15th); Maureen Delaney-Lehman singing "Summertime;" and Alyssa Morley singing "Under the Sea." For further information please contact the Soo Theatre Project at (906) 632-1930 or visit our website www.sootheatre.org. The Soo Theatre Project is located at 534 Ashmun Street in downtown Sault Ste. Marie, MI. STARS Summer Registration Is Still Open! Call Today! There are still spots available for some of the summer semester offerings at STARS and the Soo Theatre. Further information can be obtained by calling the theatre at (906) 632-1930 or visiting our website at www.sootheatre.org. The Soo Theatre Project is located at 534 Ashmun Street in downtown Sault Ste. Marie, MI. International Idol is Underway; Don't Miss the 2nd Round Sunday, Jun 13! The third annual Soo Theatre International Idol Vocal Competition is underway, with spectacular performances by all contestants. The vocal competition is modeled after American Idol, but with a twist, as the competitors come from the Eastern Upper Peninsula area, including both Sault, Michigan and Sault, Ontario. Contestants are divided into two age groups, 13 years old and under and 14 years old and above. Qualifying rounds were held this past Sunday, June 6th, with a total of 29 contestants vying for a spot in next week’s competition. Mark San Angelo did an excellent job as MC, along with the competition's judges George Snider, Allison Miller, and Amy Preville. Special guest Bill Kritselis performed his song, "Born In Sault Ste. Marie,” for the audience. Mr. Kritselis, in his 80s, who has always hoped to sing on the big stage at the Soo Theater, was able to realize his dream by performing during the first round qualifying. The second round of Soo Theatre’s International Idol begins at 6 p.m. this Sunday, June 13th. Special guest performer will be the winner from last year’s competition, Danielle Petingalo. Admission is $5.00 with all proceeds benefiting the Soo Theatre Project, Inc.
Join us in supporting the Idol contestants and the Soo Theatre Project. This year's competition will start at 4:00pm on June 6th at the Soo Theatre; all who are entering must be at the first performance by 3:30 pm. The top three finalists of each division will be awarded prizes with the Grand Champion prize for the 14 and Over Division paying out $600 for 1st place, $400 for 2nd, and $200 for third. The Grand Champion of the 14 and Over Division will also receive $500 worth of studio time at Lake Street Studio, an opportunity to perform at a Dream Makers Theater presentation, a Music-In-The-Park guest appearance and an opportunity to perform in a stage production sponsored by the Soo Theatre Project. Contestants can find further information on the International Idol website at www.sootheatre.org/idol. Fill out the application and return to the Soo Theatre Project, 534 Ashmun Street, Sault Ste. Marie, Michigan, 906-632-1930 as soon as possible. You may also hand in your application at the door before the contest. If you have music, please email Jennifer Compo at admin@allgoodsoundz.com to make sure she has what you are intending to sing. Our May 2010 Newsletter is now available online in PDF format (1.2 Mb). Auditions are Sunday, June 6th at noon at the Soo Theatre and at 7:00 p.m. at the Algoma University Auditorium. Auditions will be heard by Stage Director Timothy Murphy; Artistic Director Karen Hughes, and Soprano Elizabeth Kinghorn. The opera will be performed August 12, 13, and 15, 2010. For more information, call 906-647-8101 or contact the Soo Theatre Project at (906) 632-1930 or www.sootheatre.org. Soo Theatre Project, 534 Ashmun Street, Sault Ste. Marie, MI 49783. Get ready for a double feature of barbershop harmony! 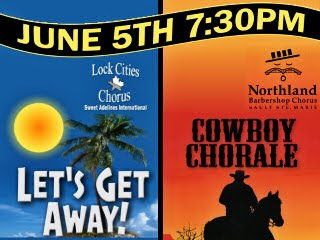 The Lock Cities Chorus of Sweet Adelines International and Northland Barbershop Chorus of Sault Ste. Marie will be performing the third annual benefit performance for the Soo Theatre Project, Saturday, June 5th at 7:30 p.m. Adult tickets are $15.00 and student tickets are $10.00, available at the Soo Theatre main office and at the door an hour before the performance. The Lock Cities Chorus of Sweet Adelines are performing a “Let’s Get Away” theme, directed by Judy Hendrickson. The Northland Barbershop Chorus, directed by Bob Shami, are performing a “Cowboy Chorale” montage in which three genres of performance art are combined into one memorable evening: Classic Western Music sung a cappella in four-part Barbershop Harmony is featured together with Cowboy Poetry. Please support the Soo Theatre Project by watching this wonderful benefit show of Barbershop-style singers, Saturday, June 5th at 7:30 pm. The two choruses will perform at the Soo Theatre, located at 534 Ashmun Street Sault Ste. Marie, MI (906) 632-1930 or www.sootheatre.org. Tickets are $15.00 for adults and $10.00 for students. Come, join, and support the Soo Theatre Project. "Guys and Dolls" Needs You! Here’s your chance to get into show business! Everyone has something that can be of use with the production of a big Broadway musical. Why not you? The Soo Theatre Project is in need of volunteers to assist with the production crews for the mid-July performances of “Guys & Dolls.” Folks who are willing to help build and paint stage scenery, collect and sew costumes, help with publicity and house management, play in the pit orchestra, serve as scene change crew, gather and organize stage properties, and generally be an integral part of the total production are encouraged to volunteer. To become involved it is as simple as picking up the phone and calling the Soo Theatre office at 632-1930. Inform the office staff of what crew, or crews, you would like to assist. Be prepared to give your phone and email addresses. Or, you are welcomed to stop by the main office at the downtown Soo Theatre to become a part of this exciting production. You will be contacted by one of the show’s production staff as to planning and work sessions. Please consider joining the company of “Guys & Dolls.” You will meet some great people and have a super experience in the world of show business! Come, join, and support the Soo Theatre Project 534 Ashmun Street Sault Ste. Marie, MI. (906) 632-1930 or visit our website at www.sootheatre.org. Last year Soo Locks Boat Tours partnered with Soo Theatre to raise money for the Soo Theatre Project by having a Pirate-themed Boat Tour. It was such a big hit that Soo Locks Boat Tours and Soo Theatre Project are teaming up to do it this year! 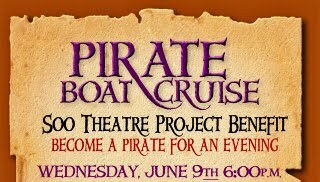 The Pirate Boat Cruise will be Wednesday, June 9 at 6:00 p.m. The Pirate Performance on the dock will be followed by a one-hour cruise on the pirate boat. Only 150 pirates are allowed on the boat, so make sure to buy your tickets today. Tickets are $12.00 for adults and $8.00 for children (12 and under). See the poster. Become a pirate for the evening! Come as you are or as a pirate! There will be a Pirate performance on the dock before the cruise. 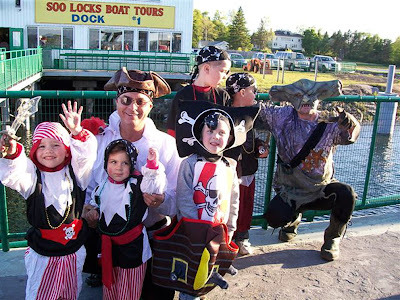 Once loaded on the one-hour cruise on the beautiful St. Mary's River, you will enjoy pirate pizza, pop and water, pirate stories, and pirate prizes. Last year this benefit cruise was sold out, so make sure to buy your ticket(s) at the Soo Theatre Project, 534 Ashmun Street Sault Ste. Marie, MI 49783. Contact the Soo Theatre at (906) 632-1930 or check us out online at www.sootheatre.org. Come, join, and support the Soo Theatre Project. Sault Ste. 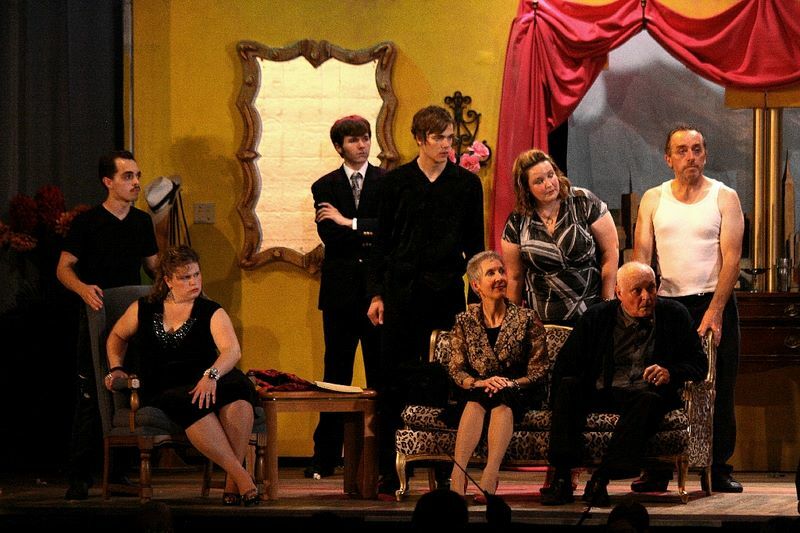 Marie's Soo Theatre Project has found it necessary to change its choice for its 2010 summer musical. The group had originally planned to present Fiddler on the Roof. However, due to a problem in obtaining the rights to produce the show, it has decided to stage Guys and Dolls. The Soo Theatre has received a license from Music Theater International for the July 15, 16, 17, and 18 production and has begun rehearsals. Other assigned roles in the Soo Theatre production are: Matt Gilbertson, Seth Witucki, Jim Schmidt, Wade Leppien, Kaylynn Barber, Becky McCauley, Sam Burdick, Jim Taylor, Lola Kennedy, Twyla Fredrickson, Matt Zook, Andrew Lucas, Ben Deatrick, Nick Cremeans, Mary Witucki, Sharon SanAngelo, Ginger Stratton, and Gabriella Castillo. Also appearing are Melissa Makranyi, Samantha Peck, Jaelinn Soeltner, Haley Weston, Casey Strieter, Hollyann Beck, Melina Talentino, and Christopher Avila. Soo area folks are reminded to mark those production dates of July 15, 16, 17, and 18 on their calendars. They will be in for a real treat. For additional information, please contact the Soo Theatre Project, 534 Ashmun Street, Sault Ste. Marie, MI 49783, (906) 632-1930 or visit the website at www.sootheatre.org. Come, join and support the Soo Theatre Project. STARS Youth Orchestra and Algoma Conservatory’s Concert Strings will be teaming up for a combined Festival Concert on Sunday, May 16, at 7:30 p.m. This performance will take place on the historic Soo Theatre stage in downtown Sault Ste. Marie, Michigan. For the first time, these two groups will bring together close to 30 highly accomplished young string players from both sides of the river. The program will feature an exciting array of music from the Baroque classics to down home folk music. Conductors of these two groups are Dottie Case from STARS and Rosemary Gosse from the Algoma Conservatory. Admission is by donation. This will launch the Soo Theatre’s summer season on stage, which will be alive with more than thirty performances from June through October. In their fifth season of major Broadway and opera productions as well as individual concerts from bluegrass to the International Idol Competition, the Soo Theatre strives to offer a little something for everyone. While heavy in production, the project is also continues in the process of renovating the theatre building and complex. The community is encouraged to join the Soo Theatre Project by joining the “Belong to Something Big” campaign, by donating to the Legacy fund for the overall renovation of the theatre, or by getting involved as a volunteer. Soo Theatre Arts Resource Studios (STARS) is a community arts center offering instruction in music, dance, theater, yoga, and tai chi for students of all ages. STARS is a program of the Soo Theatre Project, partially housed in the historic Soo Theatre complex. For more information on classes and lessons, call the STARS office at (906) 632-1930. 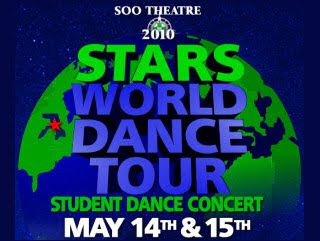 Soo Theatre Project presents its annual dance show, STARS World Dance Tour, Friday, May 14th and Saturday, May 15th 7:00 pm at the LSSU Fine Arts Center. Tickets are $12 for adults, $6 for students and can be purchased at the Soo Theatre office (534 Ashmun Street in Sault Michigan) or at the door. Over 250 students of ballet, modern, lyrical, jazz, hip-hop, tap and acrobatics will dance to music from all over the world. Special guest at Friday’s performance will be Miss Michigan 2009, Nicole Blaszczyk. Also featured will be the Footlights Dance Theatre, the advanced dance troupe based at STARS and its four graduating seniors, Karen Donarski, Olivia Francis, Rebecca Neveu and Tenley Roe. Colorful costuming and the LSSU Arts Center’s state-of-the-art light and sound technology will complement the eclectic mix of world music. Students performing are students of Dianna George, Kaley Darga, Lea Ciffullo and Courtney Bailey. Acrobatic dance by guest choreographer Sarah Eles will also be featured in the show. A portion of the proceeds will be donated to the United Way of the Eastern Upper Peninsula to boost their support of 18 local agencies working in the three counties. Soo Theatre Arts Resource Studios (STARS) is a community arts center offering instruction in music, dance, theater, yoga, and tai-chi for students of all ages. STARS is a program of the Soo Theatre Project, housed in the historic Soo Theatre complex. For more information on classes and lessons, call the STARS office, 632-1930 or visit the website www.sootheatre.org. Suzuki Violin Instructor in Sault Ste. Marie, Michigan. Soo Theatre Arts Resource Studios (STARS) is a vibrant community arts center offering instruction in music, dance, theater, and yoga for over 400 students of all ages. STARS is a program of the Soo Theatre Project, housed in the historic Soo Theatre complex in downtown Sault Ste. Marie, across the river from Sault Ste. Marie, Ontario, Canada. The successful applicant will take over a growing program teaching Suzuki violin individual and group lessons and reading orchestra. Opportunities also exist to teach viola, cello, preschool music, and elementary summer arts camps. The new violin teacher will join a creative group of artist-teachers at STARS, passionate about their work and open to collaborative projects throughout the eastern Upper Peninsula. Playing opportunities are possible with the Sault Symphony, Marquette Symphony and the Great Lakes Chamber Orchestra. Qualifications for this position are Suzuki teacher training through Book 2 (minimum) and successful Suzuki teaching experience. A music degree is preferred. Full time Business Manager, Soo Theatre Project, responsible for safe and efficient operation of this growing non-profit, coordinating and scheduling programs, keeping and reporting financial records and controls, supervising building personnel, working with contracted personnel. Responsible to a Board of Directors. Necessary skills: ability to multitask, good people skills, computer bookkeeping and record keeping. Business Management degree or experience preferred. Resume to Soo Theatre Project/STARS, 534 Ashmun St., Sault Ste. Marie. Email sootheatre at lighthouse.net. Application deadline March 8. Collage of STARS student performers at Spring 2009 recitals. Photos courtesy of Tom Ewing. Soo Theatre Arts Resource Studios (STARS) will present a student recital Saturday, January 30, 4 pm. at First Presbyterian Church, 555 Bingham St., Sault Ste. Marie, MI. Featured performers will be Elizabeth Blose, Sam Burdick, Maureen Delaney-Lehman, Rachel Evans, Kyle Flickinger, Matthew Gilbertson, Benjamin Gulder, Samantha Peck, Dyani Stewart, Gabbi Werner, and Matthew Zook. They are voice, violin, viola, and piano students of Dottie Case, Karen Hughes, and Nancy Powers. The public is invited to this performance. Donations will be accepted at the door to benefit the STARS Music Department. Soo Theatre Arts Resource Studios (STARS) is a community arts center offering instruction in music, dance, theater, visual arts and yoga for students of all ages. STARS is a program of the Soo Theatre Project, partially housed in the historic Soo Theatre complex. For more information on classes and lessons, call the STARS office, 632-1930. The Soo Theatre Project announces its projected 2010 summer schedule. STARS students perform choreographed numbers to songs from around the world. Sweet Adelines and Northland Barbershop will perform. 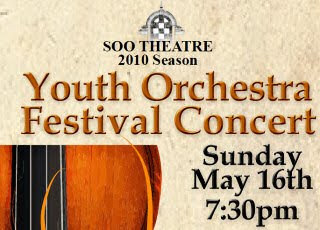 The summer of 2010 will be the third year of the Soo Theatre Project’s International Idol Competition. This vocal series competition is open for anyone and any age. Students of the STARS Musical Theatre Camp will be performing the Wizard of Oz. 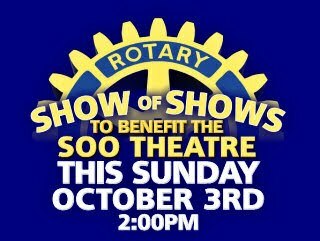 A benefit for the Soo Theatre Project, Rotary Show of Shows is an annual production. This second annual movie showing of the cult classic Rocky Horror Picture Show will have showings at 7 pm and midnight. For more information, please contact the Soo Theatre Project at (906) 632-1930. New York, NY – Leveraging Investments in Creativity (LINC) and MetLife Foundation announced the six winners of the nationwide, competitive 2009 MetLife Innovative Space Awards. Soo Theatre Project and Soo Theatre Arts Resource Studios (STARS) in Sault Ste. Marie, Mich. received $10,000 in recognition of jump-starting local economic and cultural revitalization by bringing arts education and programming to the region. In 2003 the Soo Theatre Project purchased a historical theatre built in the 1930s and revived the neglected structure to become a cultural destination for its region. Soo Theatre Project’s transformation into an active community arts center and performance venue is the result of a Michigan Cool Cities Grant combined with a no-interest loan from a local bank, along with about 250 individual donations (many of which were in modest amounts, and coming from a community of just 14,500 people) and the sweat equity of countless volunteers. Bringing to its stage the first live performances since 1974, the Soo Theatre now serves its small community with a full roster of classes in dance, music, and theatre, as well as opportunities for students to showcase their work. Re-emerging as a destination point, the Soo Theatre Project and STARS has been a key contributor to bringing residents back into the downtown area. “We are pleased to recognize the Soo Theatre Project and STARS for their extraordinary work to create innovative, affordable, and sustainable artist space that positively impacts its community,” said Dennis White, president and CEO, MetLife Foundation. “The Soo Theatre Project and STARS and the other winning programs serve as models for communities interested in creating and benefiting from sustainable art spaces. “The Soo Theatre Project and STARS exemplify how the development of affordable living and working spaces for artists can play a powerful role not only in the lives and careers of those artists, but in the communities where these spaces are located. It is an outstanding example of excellent programming, socially progressive real estate development, and the ability to provide creative and economic sustenance in a community,” said Judilee Reed, executive director, LINC. The Carnegie Center for Literacy and Learning in Lexington, KY was recognized for its robust programming for professional writers and commitment to fostering improved literacy levels in its local community, recognizing the impact that art can have on basic life skills. The City of Asylum/Pittsburgh, Pa. provides outstanding levels of service to artists in exile through a residency program with a full range of support services for the personal and professional recovery of artists and their families. Open Book 2.0 in Minneapolis, Minn. exemplifies collaboration among local non-profits. Three independent organizations, The Loft Literary Center, Milkweed Editions, and Minnesota Center for Book Arts pooled resources to form a vibrant literary arts center. Watts House Project in Los Angeles, Calif. meshes artists’ skills with local needs to improve households, creating a bond between artist and neighbor by integrating sustainable building and landscaping into everyday life. The grand prize winning organization, The International Sonoran Desert Alliance (ISDA), received $50,000 in recognition of its development of the Curley School, an exceptional, community-engaged artist space anchoring an arts-based revitalization movement in the border town of Ajo, Arizona and neighboring Tohono O’odham Nation and Sonora, Mexico. “Artist spaces should be fundamental to well-planned communities. We hope a broader set of stakeholders, including policymakers, planners and other civic leaders, will embrace arts and culture as significant components of effective development strategies,” said Susan Silberberg-Robinson, associate project director, MetLife Innovative Space Awards and lecturer in Urban Design and Planning, MIT. Space for Change: Building Communities Through Innovative Art Spaces was launched in 2009 by LINC in partnership with MIT’s Department of Urban Studies, through a funding collaboration between the MetLife Foundation and Ford Foundation. To learn more, visit www.lincnet.net/artist-space. Leveraging Investments in Creativity (LINC) is a 10-year initiative to improve artists’ ability to make work, build social capital and contribute to democratic values. For more information, visit www.lincnet.net. MetLife Foundation was established by MetLife to continue the company’s long tradition of corporate contributions and community involvement. Grants are made to support health, educational, civic and cultural organizations and programs. The Foundation contributes to arts and cultural organizations, with an emphasis on increasing opportunities for young people, reaching broad audiences through inclusive programming, and making arts more accessible for all people. For more information, please visit www.metlife.org. The Soo Theatre Project in Sault Ste. Marie, Michigan was formed to restore and renovate the classic and historic Soo Theatre Complex to its original grandeur of the 1930s. The Project's mission is to sponsor, encourage, and create opportunities for participating in and appreciating the arts.